Are you sick and tired of waiting on the bench because the coach thinks you aren’t strong enough? Would you like to score more goals and be an unstoppable striker? We will tell you a secret: practice is all you need. But not just any practice, you need special exercises! Luckily for you, they’re now available online. No matter how young or old you are, AQSpeed has just what you need to boost your speed and shooting skills. With AQSpeed, you can become as fast as Bolt and kick as strong as Ibrahimovich. Their training program can help you get more chances to score, but also to play better defense. 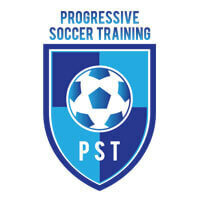 Keep reading our comprehensive AQSpeed review in order to learn more about this excellent soccer training program. The greatest soccer players in the world are both strong and fast. Understandably, that’s a combination that’s not easy to achieve. That’s why most other, less known players are either quick or can kick fiercely, especially from a great distance. But don’t let this discourage you, as AQSpeed has found a way to help you work on both your speed and your shooting. AQSpeed introduces highly effective exercises that can boost your kicking accuracy and make you incredibly fast in the field. They offer tutorials for 3-minute exercises, which should be done 4 times a week in order to help you make rapid progress. The training sessions are designed to last for about 15 minutes and AQSpeed claims that if you follow their program attentively, your speed can skyrocket in no time. What’s the secret? The secret lies in incorporating isometric exercises to your training routine. Isometric exercises help you improve your strength without gaining more weight. This way, your muscles get stronger, but you don’t get too bulky. Isometrics can help you boost your endurance too. Since you don’t gain any weight, your speed isn’t jeopardized and you can even run much faster than before. Magical, isn’t it? AQSpeed soccer training program isn’t expensive. In most cases, you don’t even need equipment to perform the exercises. This also means you can practice anytime and anywhere. Keep in mind that some exercises require a resistance band, but it’s lightweight so you can bring it with you and exercise outside if you want. Exercises from AQSpeed soccer training program are suitable for players of all skill levels. Moreover, these exercises are appropriate for players of almost any age, so they can help both mature players as well as juniors from about 8 years of age. The folks behind AQSpeed claim that you can start doing their exercises any time you want and the results should follow quickly. Testimonials show that many players have noticed an improvement in speed and kicking power within only two weeks. AQSpeed program helps you get in shape for soccer and feel more confident in the field as well. AQSpeed is suitable for soccer players of all ages, levels, and positions. Unique Kick Farther and Run Faster Speed Training Program can help any soccer player boost his/her speed and shooting skills. Kick Farther and Run Faster Speed Training Program features 5 sections: Welcome and Training Information, Training Instructions and Training Tips, Training Videos, Muscle Charts and Movements, and Progress Charts and Training Schedules. Section 1, Welcome and Training Information, helps you gain a better understanding of the exercises you’re about to start doing in order to boost your speed and strength. This section teaches you what isometric training is and helps you learn more about running and how your muscles work. It also explains what resistance bands are and how they can help you achieve your goals. Section 2, Training Instructions and Training Tips, provides instructions and tips that show you how to use this program for optimal results. Section 3, called Training Videos, is probably the most interesting and most important part of the program. It includes instructional videos for each of the 10 exercises Kick Farther and Run Faster Speed Training Program offers. Every video contains detailed explanations on how to train correctly and efficiently. Section 4, Muscle Charts and Movements, provides charts to help you follow your progress. Section 5, Progress Charts and Training Schedules, is very useful for organizing your time and planning your training sessions. It features charts to help you visualize your progress. There’s also a weekly training schedule to enable you to keep track of your training sessions. 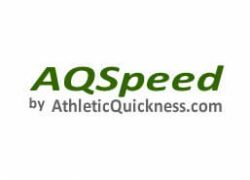 In addition to Kick Farther and Run Faster Speed Training Program, AQSpeed provides several gifts that can be highly useful to any athlete. When you purchase Kick Farther and Run Faster Speed Training Program, you also get 6 other programs for free, including Interviews with College and Professional Athletes, Sprint Training Technique, How To Build Champion Sprinters, 10 Commandments for a Great Sports Parent, The Battle of the Bars and 14 Nutrition Facts For Teens, and Breakthrough Confidence: The Most Important Skill You Will Learn As An Athlete. 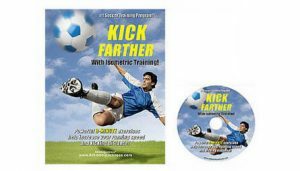 Kick Farther and Run Faster Speed Training Program costs only $39.95 and as soon as you make your payment, you get full access to all the material, which can also be downloaded. Video tutorials are compatible with any computer, tablet or smartphone, so you can train whenever and wherever you want. In case you’re not satisfied with the program for any reason, AQSpeed offers an excellent 60-day money back guarantee and lets you keep all the material. Citius, Altius, Fortius, or in English “Faster, Higher, Stronger” is the motto of the Olympics, as well as the motto of every ambitious sportsperson. In case you’re one of them and especially if you play as an attacker, AQSpeed’s soccer training program may be just what you need. Kick Farther and Run Faster Speed Training Program can help any player boost their speed and kicking power. AQSpeed provides simple yet extremely effective exercises that can make your shooting skills and speed skyrocket in no time. Although it’s just one program, it’s efficient and affordable. More importantly, it can bring you amazing results in the shortest possible time period. Kick Farther helped me a lot, really. I was so slow before and I was never in the middle of goal-scoring actions. But in less than a month I made such progress that my coach thought I was taking something. Great job, this program is amazing! Helped me with my kicking, and in just two weeks. Nobody says I kick like a girl anymore. Good for strikers definitely. Exercises are new, I like that, it breaks the boring routine and makes trainings interesting. However, it’s not really miraculous, but it still works. I see that my son likes this program. I don’t think he’s become that much faster really, but at least it boosts his confidence. Interesting program, but becoming a Bolt in 2 weeks that’s a bit exaggerating tbh. It helps, I can see the progress, but it’s not really skyrocketing.